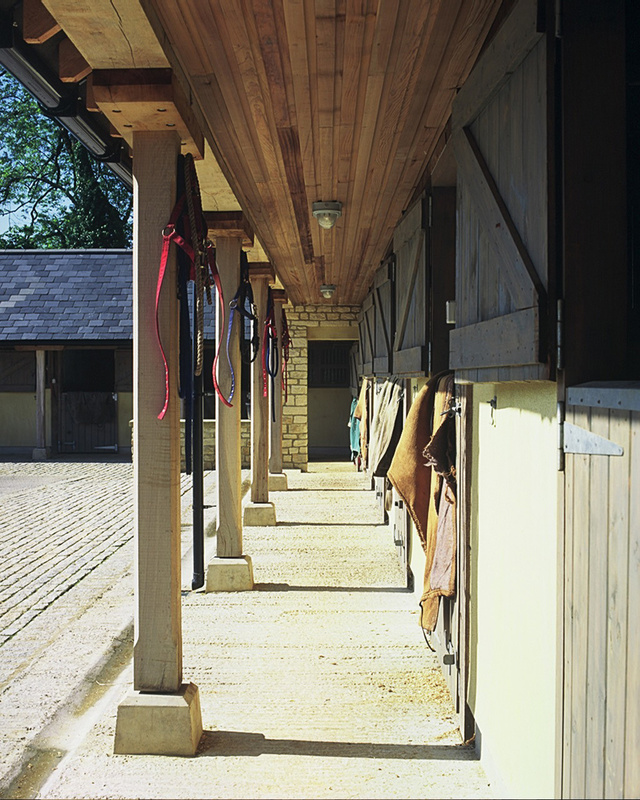 Accommodation includes: 15 stables, feed store, tack room, hay store, rainwater harvesting tank room, grooms' accommodation, riders' accommodation and stable yard. 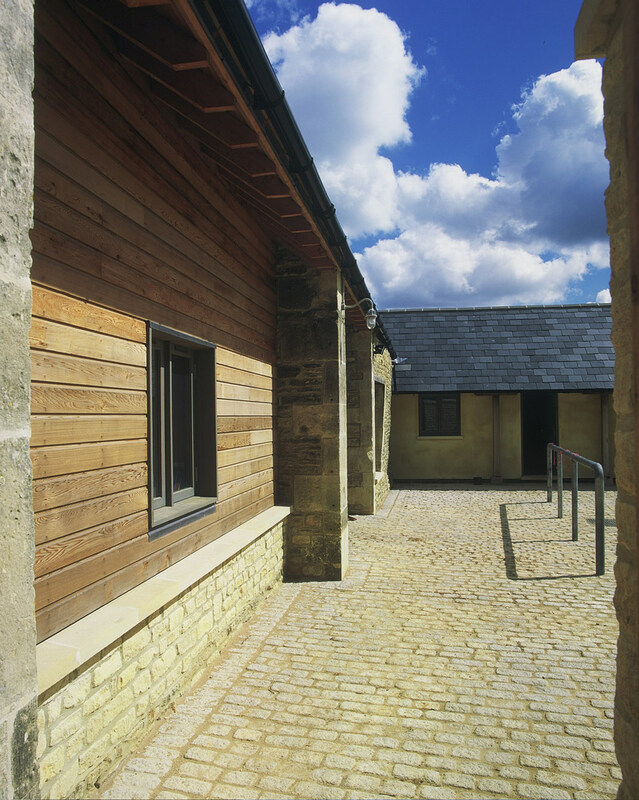 Andrew Kenyon Architects' (AKA) design accommodates half the stables over the footprint of a redundant cow shed and utilises the remains of existing walls, the other half are new and built perpendicular to enclose the yard. 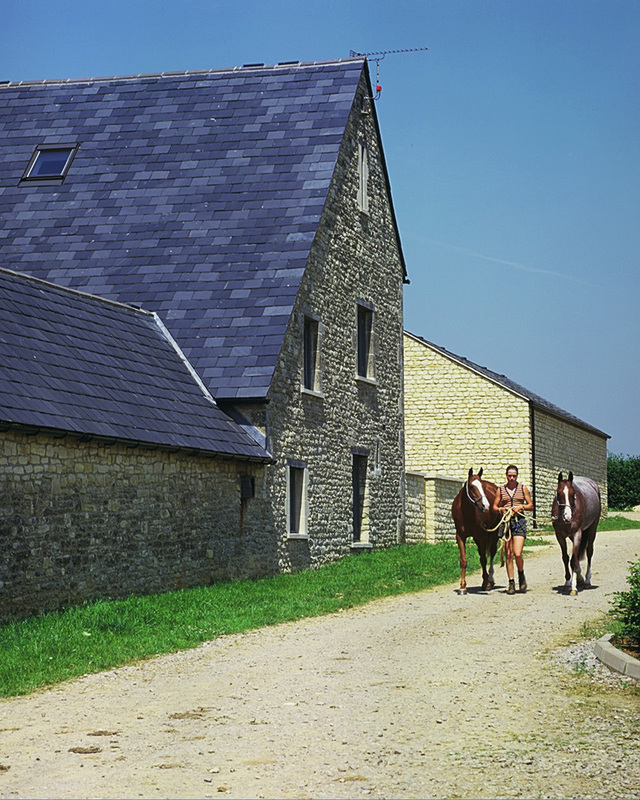 Existing stone barns were repaired and converted to provide accommodation for live in grooms and visiting riders. 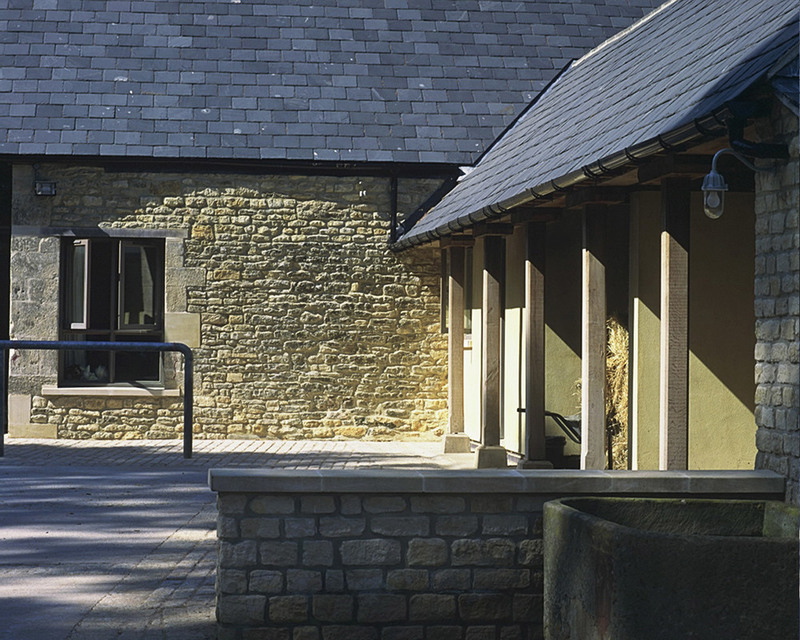 Materials common to the region were used including slate, Cotswold stone, render, oak and painted joinery. 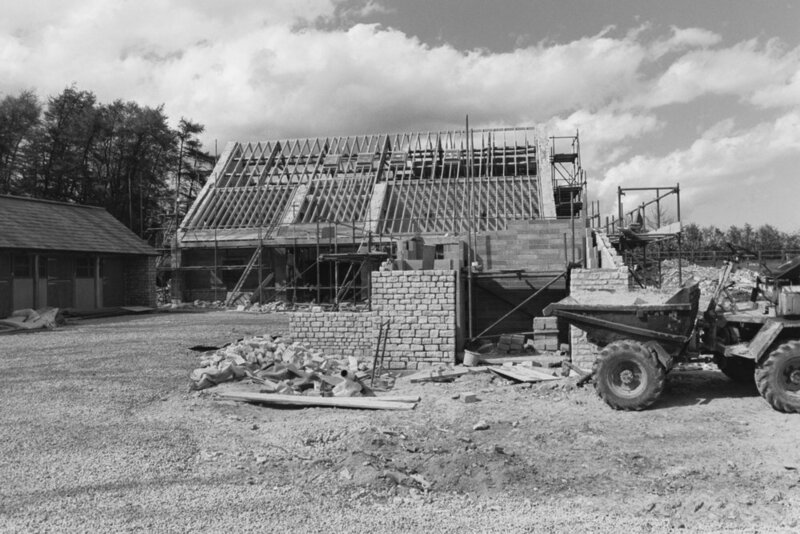 Located in the Cotswold Area of Outstanding Natural Beauty planning constraints were onerous, working with our client, planning consultants and the local authority AKA's design was accepted and planning consent obtained. 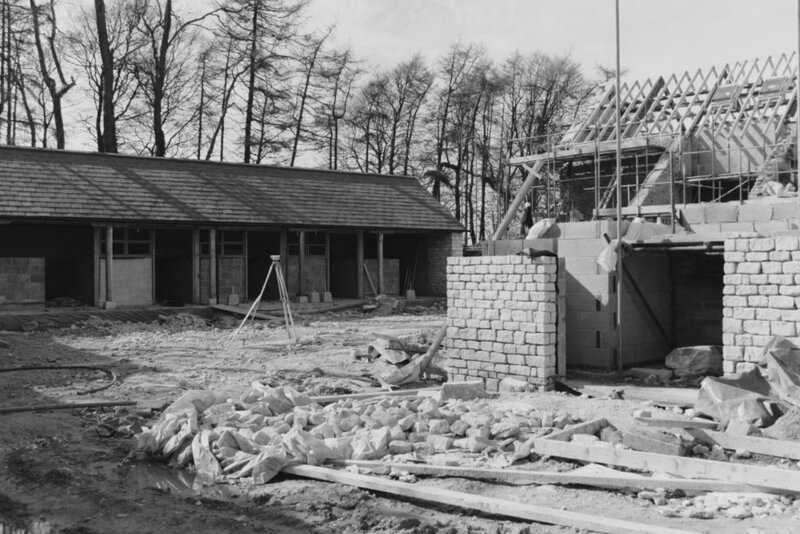 We were also responsible for overseeing the project through to completion of construction.